This was a project that I created for a class in Human Computer Interaction - Computer Vision at the HPI. The task was to create an autonomous moving vehicle that finds the center of a projected light source, built exclusively from laser-cut parts and some given electronics. I decided to create a self balancing robot because it's more agile and for the extra challenge that comes with it. 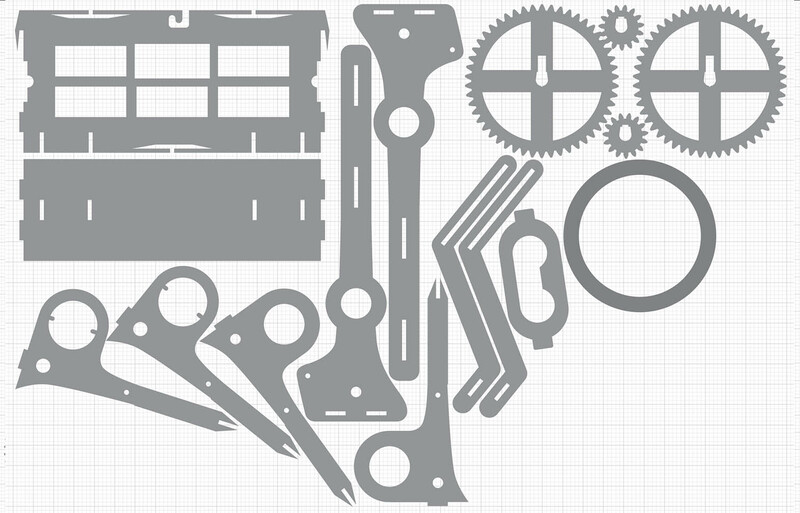 It took a lot of iterations before I had a working prototype, especially because of gears and weight optimisations. You can find some more impressions in the picture gallery. We actually had a competition for all the projects that people created for this class, you can have a look at the different approaches in this short video.